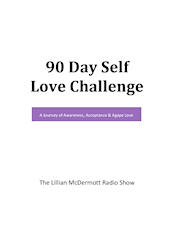 Week of 2/11/19 on The Lillian McDermott Radio Show! The Lillian McDermott Radio Show is truly rewarding for me. For every hour on the air it takes me about 2 to 3 hours of research. My goal for this year is to discover ways to free up my schedule. I have been doing a lot of reflection as I prepare to free myself from commitments and obligations. There are many articles I have written that many of you may not have read. From time to time I would like to share some of these old articles and make them new again. I found this article that I wrote right around Valentine’s Day and I want to share it. I hope you like it and that it will get you ready for the greatest love EVER! Click Here to read it and please feel free to share! Monday, 2-11-19 ~ It does not matter your age, it feels great when we accomplish something that we never thought we could. Exclaiming “I did it!” or hearing the words “You did it!” feels amazing. Are there things you have been wanting to accomplish but something keeps holding you back? Well, I am excited to discuss with Tim Ray and Shannon McVey of Awaken Atlanta, how we can step out our FEAR and say “YES” to adventure. Tuesday, 2-12-19 ~ Recently, the author of “Nutrient Power,” William Walsh, PhD, shared on my show that people who suffer from behavioral health issues had certain deficiencies that were, for the most part, naturally reversable. When I asked Dr. Walsh which company handles his testing, he told me it was DHA Laboratories. Dan Hanson is the founder of DHA Laboratories and he will share how their testing is changing lives. Thursday, 2-14-19 ~ There are certain days we acknowledge love. Valentine’s Day is the day all who love share their love. Telling your loved one how you feel should be an everyday occurrence. Is it getting harder to tell your spouse you love them? Do you even love your spouse? Well, once again, my husband, Robert and I will discuss our keys to a loving relationship and how to choose love and make each day Valentine’s Day! Friday, 2-15-19 ~ Just like in my own journey, Mario Fabbri was exposed to a whole food plant-based vegan lifestyle that resonated with every cell within. Even though Mario’s family owns an Italian Sausage company, Mario continues to be curious about “Trying Vegan.” He now has a show on Roku called, “Trying Vegan with Mario.” It is time to check on Mario to learn his latest lessons from his health journey. Saturday, 2-16-19 ~ How we view ourselves impacts our reality. As we have discussed many times on the show, our thoughts control our feelings and our feelings determine our actions. For the last 15 years, Jason Stephenson has been involved in the meditation/relaxation music field with over one million subscribers on his YouTube channel. And on this “Meditation Monday,” Jason and I will discuss how to embrace the I AM, along with the good, the bad, and the ugly! On February 10, 2019 / What is Happening Weekly?